April 1, 2012 | Welcome to Little Gull Marina! Welcome to the first of April! 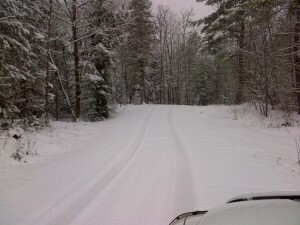 This isn’t an April Fool’s Day joke…..it really is what we woke up to this morning in cottage country. We seem to be back to more seasonable weather. We have been really busy for the upcoming season and are looking forward to seeing everyone through the spring.